There are always problems when you're trying to balance a lot of stuff on a bike. It either all in bags on the handlebars, or in one of your arms or in a backpack. It messes with your center of gravity. 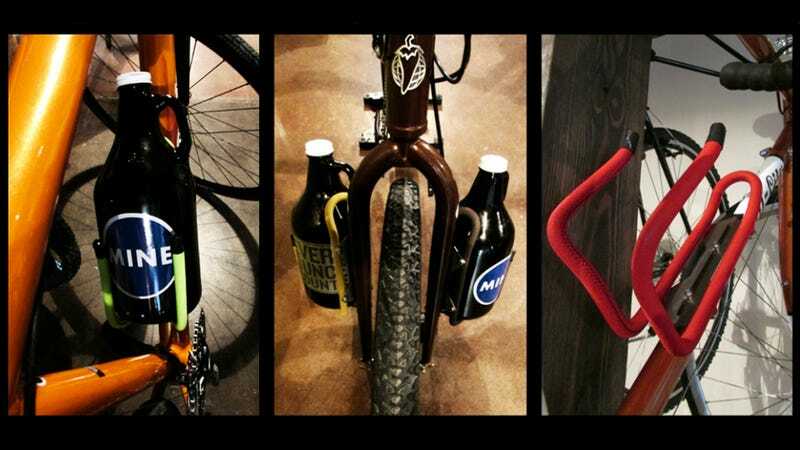 But at least with these Growler Cages you can transport your growlers (as you often do) from point A to point B without having to worry about anything.